BFGoodrich® has centered their brand on three core values: passion, pride, and performance. They’ve long been a major player when it comes to creating truck tires that are tough enough to take on some of the toughest terrain in the world, from the unforgiving deserts of Baja to the intense road track at Laguna Seca. BFGoodrich’s performance prowess doesn’t end where the pavement starts. In fact, top driving schools like the Ford Mustang Racing School and Skip Barber High Performance Driving School exclusively use BFGoodrich® tires. The manufacturer is proud to boast they’ve been passionately performance-driven since their conception and they have the track record to back that up. Whatever challenge you are taking on with your vehicle, be it a daily drive through the suburbs to work or a tough run through the mud, the question is: Are you driver enough? 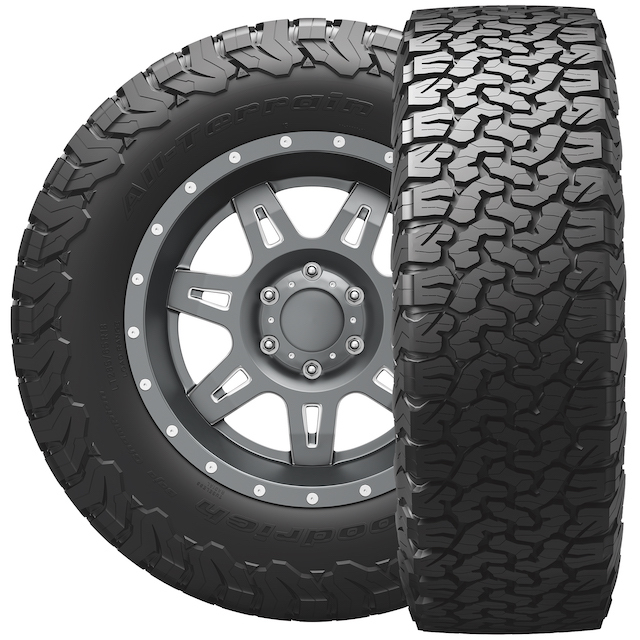 Listed on the manufacturer’s site as “BFGoodrich’s toughest all-terrain tire. 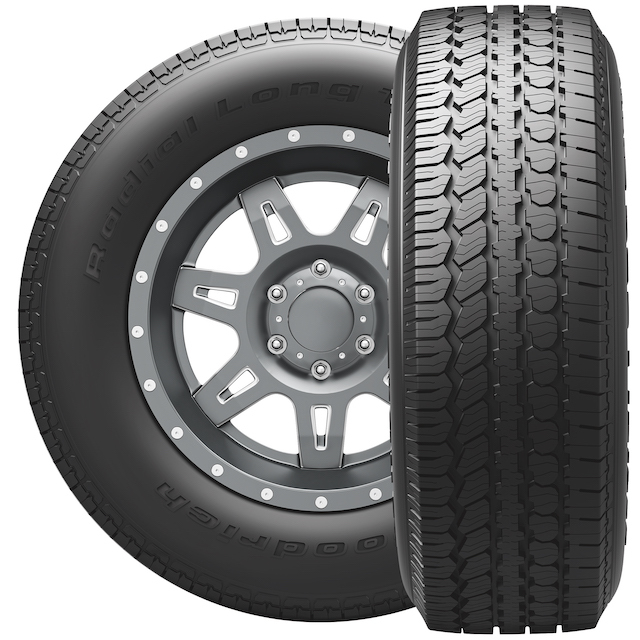 Ever.”, this tire features an interlocking tread design and an advanced tire footprint shape to help distribute stress evenly and provide increased tread block stability. These tires boast an increased rubber thickness that extends down the sidewall to better protect against critical sidewall failure. Mud-phobic bars in the shoulder tread and stone ejectors throughout the tire help release compacted mud and keep stones out of your tread, which provides increased traction and better performance in off-road environments. Backed by a 60,000-Mile Limited Warranty, these tires were designed for the driver who often finds themself navigating through the city or dodging traffic on the highway. They feature strategically placed siping and rain channels that help you maintain control regardless of the road conditions or weather. 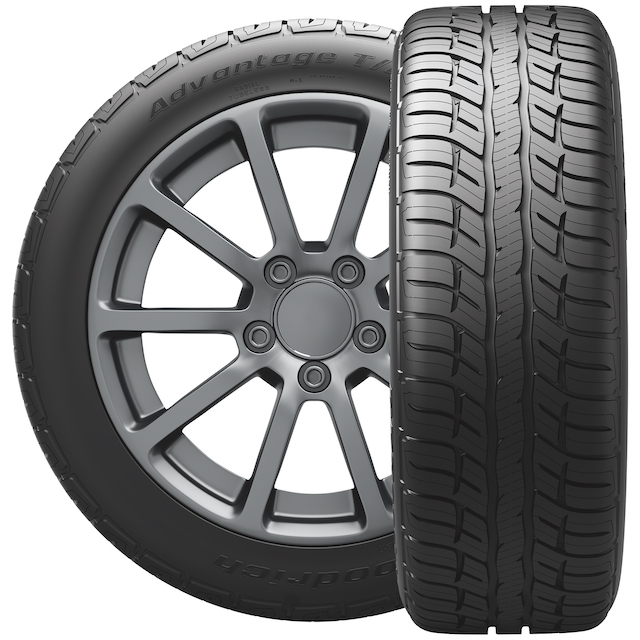 This model is perfect for vehicles like the Honda CR-V or Ford Explorer, and is an excellent choice when it comes to equipping your daily driver with a dependable but affordable tire. Locking 3-D Active Sipe Technology gives this tire more biting edges which allows for exponentially increased traction on wet surfaces. Their Advanced All-Season Tread Compounds are silica-infused and help bring you outstanding grip all year long. Additionally, their next generation g-Wedge Sidewall Stabilizer™ helps to further support the tire’s side walls, offering better handling and a smoother ride. This tire is perfect for models like the Nissan Altima, Ford Focus, and other common sedans. The manufacturer’s site lists this model as “North America’s first performance radial tire” and they back that up with nearly 40 years of real-life racing technology and heritage. The wide profile and raised white lettering are styled to offer a classic look to perfectly complement any modern muscle car and the superb lateral stability provides tremendous steering response.